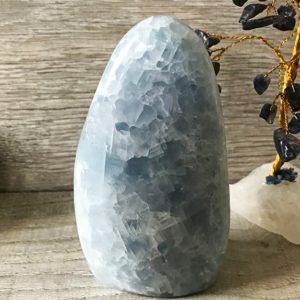 Blue calcite, is a gorgeous sky blue colour, and is said to be one of the best crystals to boost psychic development, intuition and connecting with angels, as well us help with remembering dreams. Said to be a very good healer of pain in joints and bones. This crystal is one that resonates with the third eye and throat chakras. 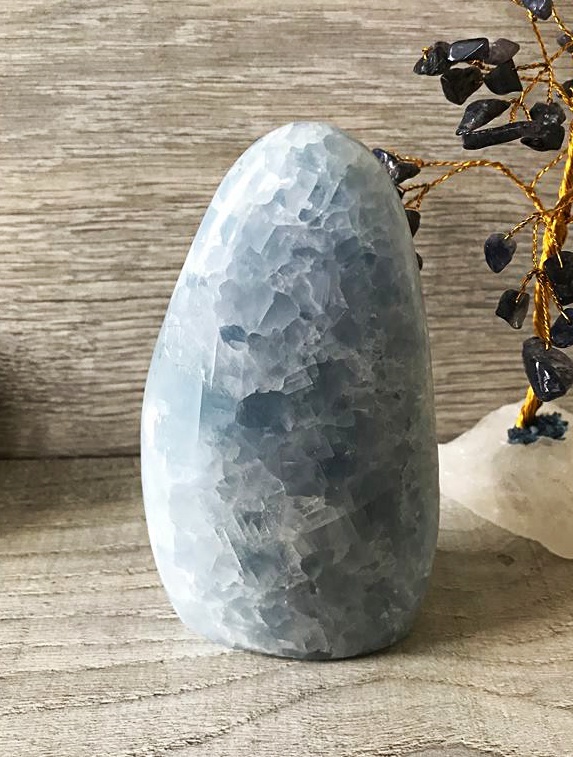 Blue calcite is a little bit more rare than the other calcite and this makes it a little bit more expensive, but in our opinion worth every penny, a very beautiful crystal.